This annual event strives to create privacy awareness. Here’s why you should care about it. This makes you a target for highly-personalized marketing, and could impact your browsing habits. But many consumers fail to install proper privacy safeguards, increasing the likelihood that their data winds up in the wrong hands. That’s why Data Privacy Day is crucial. 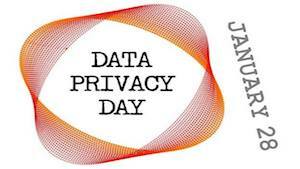 Data Privacy Day is an annual initiative to provide online privacy education and increase data protection awareness. It began in the US and Canada in 2008 as an extension of Europe’s Data Protection Day. Powered by the National Cyber Security Alliance, Stay Safe Online hosts Data Privacy Day every year on January 28. The date is significant. It commemorates the signing of Convention 108 on January 28, 1981, marking the first legally-binding international treaty concerning privacy and data protection. As part of their Data Privacy Day efforts, Stay Safe Online is combining forces with more than 300+ champion organizations. Together, they will distribute resources and share privacy tips for public benefit. If you’re interested in Data Privacy Day, there are several ways to get involved. The easiest way to start is by registering to become an individual Data Privacy Day Champion. By simply registering, you’re declaring your dedication to respect privacy, safeguard data, and enable trust. Another way to support Data Privacy Day is by watching the 2019 event livestream. The stream is scheduled for 5 PM EST and will run about two hours in length. Several guest speakers will contribute. Topics planned include business data management, cloud security, and privacy concerns for future technologies. Additionally, Stop Think Connect will be handling Twitter coverage of the live event on Data Privacy Day. Stop Think Connect is an organization co-founded by Stay Safe Online, the Department of Homeland Security’s Cybersecurity branch, and the Anti-Phishing Working Group. You can engage with their Twitter feed during the stream using the hashtag #PrivacyAware. What should I be doing daily to protect my privacy? Data Privacy Day may be a one-day event, but it’s imperative to maintain good privacy practices year-round. And there’s no better way to protect your personal data than with encryption. The easiest way to apply encryption is through the regular use of a VPN. A VPN securely tunnels all of your internet data to a private server. While free options are available, the safest and fastest options are paid services, like IPVanish, NordVPN or ExpressVPN. In addition to encryption, there are several key privacy principles you should follow. First, be careful not to overshare. This includes everything from which companies you give your information to, to what you’re posting on social media. Take a moment to consider who might see what you share, and how they can use it against you. Second, take control of your privacy settings on all of your devices and accounts. As as general rule, only give apps and services the permissions they need to function. Location-data permissions, for example, should be given out sparingly. You can review your privacy settings here. Finally, look after your logins. To start, choose strong passwords, and use a different password for all of your accounts. A strong password is long, difficult to guess, and contains a mix of numbers, letters, cases, and special characters. Remembering many complex passwords is difficult, so pick a password manager to help your cause. Next, enable multiple factor authentication for your accounts whenever possible. And last, never save your logins in your browser; log out after every use.